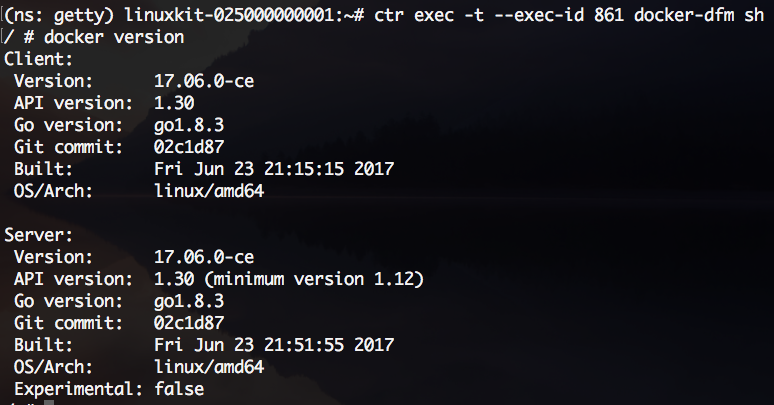 Docker For Mac 17.06 CE edition is the first Docker version built entirely on the Moby Project. 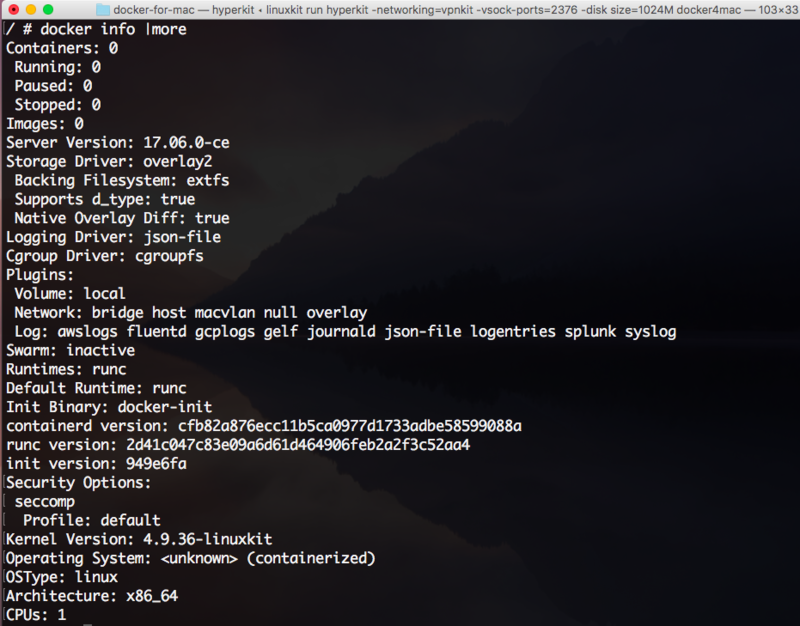 In case you’re new, Moby is an open framework created by Docker, Inc to assemble specialised container systems. 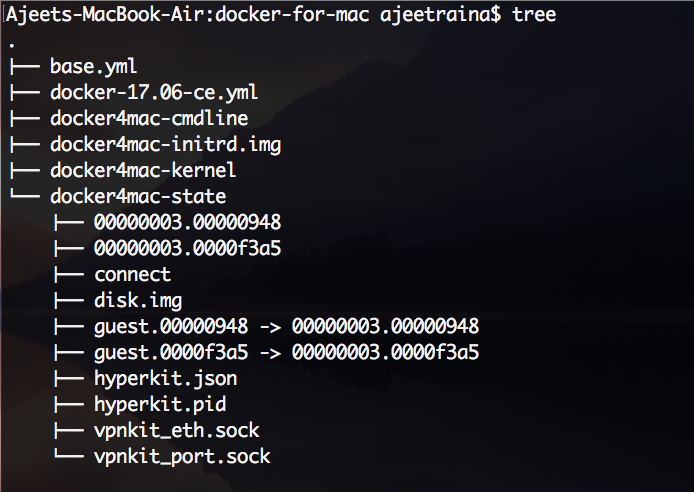 It comprises of 3 basic elements: a library of containerised backend components (e.g., a low-level builder, logging facility, volume management, networking, image management, containerd, SwarmKit), a framework for assembling the components into a standalone container platform, and tooling to build, test and deploy artifacts for these assemblies and a reference assembly, called Moby Origin, which is the open base for the Docker container platform, as well as examples of container systems using various components from the Moby library or from other projects. 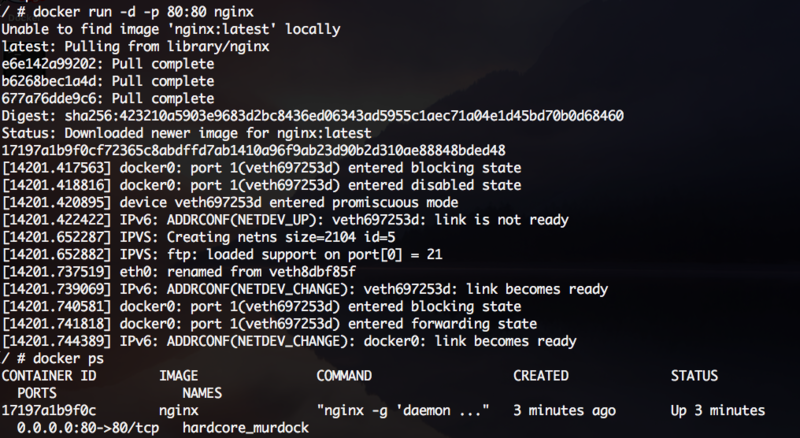 Easy drag and drop installation, and auto-updates to get latest Docker. Secure, sandboxed virtualisation architecture without elevated privileges. 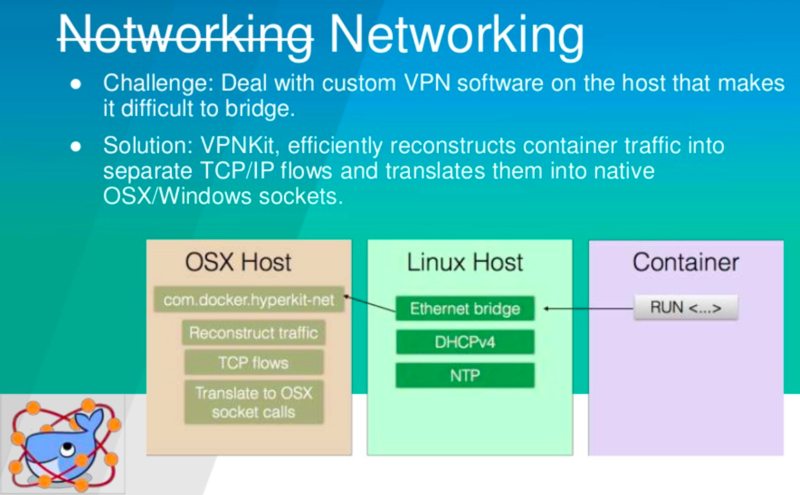 Native networking support, with VPN and network sharing compatibility. If you want to learn more details about these components, this should be the perfect guide. 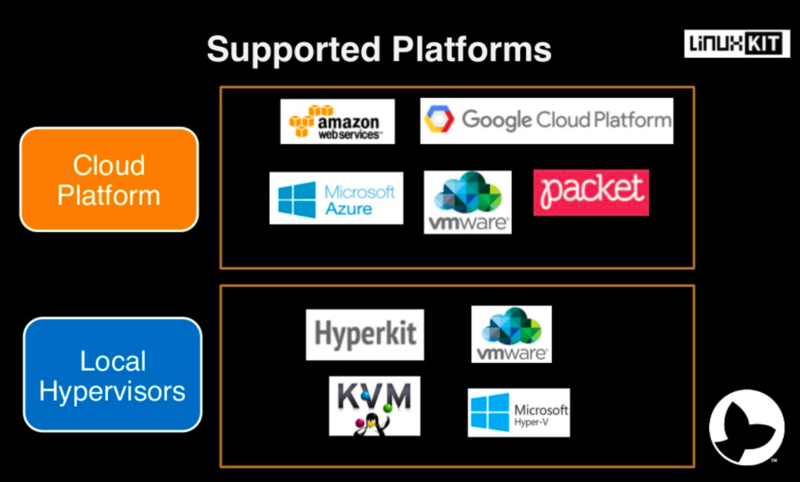 LinuxKit today support multiple Cloud platforms like AWS, Google Cloud Platform, Microsoft Azure, VMware etc. 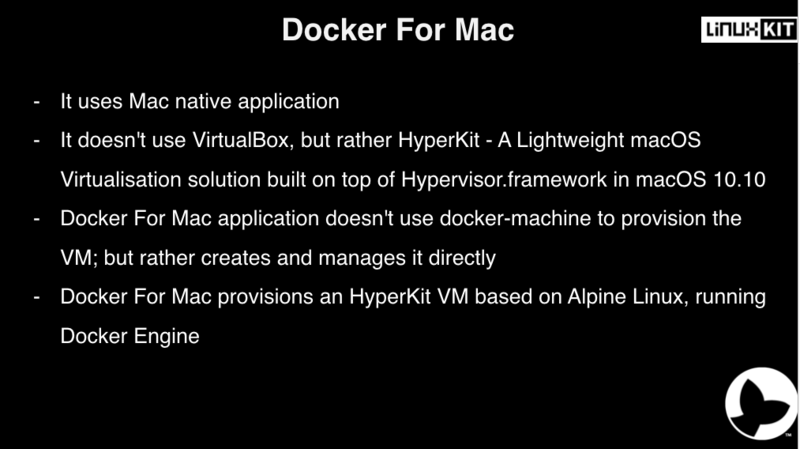 In terms of Local hypervisor, it supports HyperKit, VMware, KVM and Microsoft Hyper-V too. 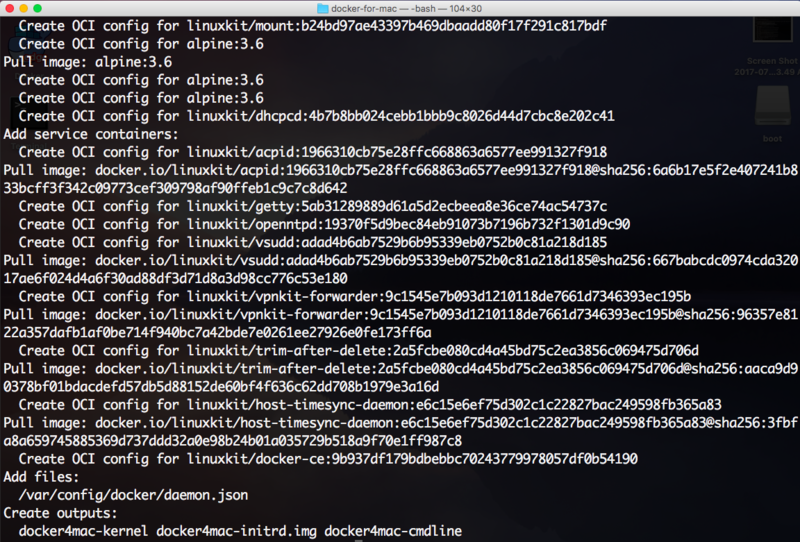 If you have closely watched LinuxKit repository, a new directory called blueprint has been introduced which will contain the blueprints for base systems on the platforms that will be supported with LinuxKit.These has been targeted to include all the platforms that Docker has editions on, and all platforms that Docker community supports. 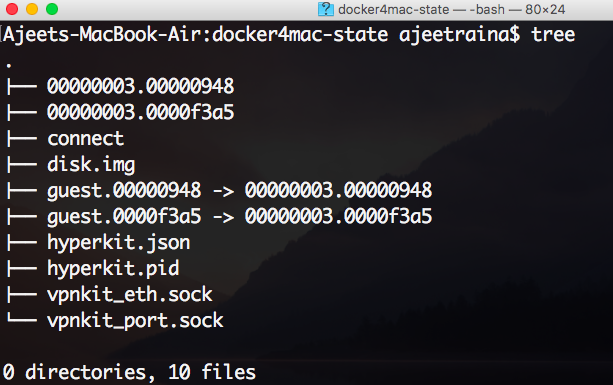 All the initial testing work will be done under examples/ and then pushed to blueprints/ directory as shown. 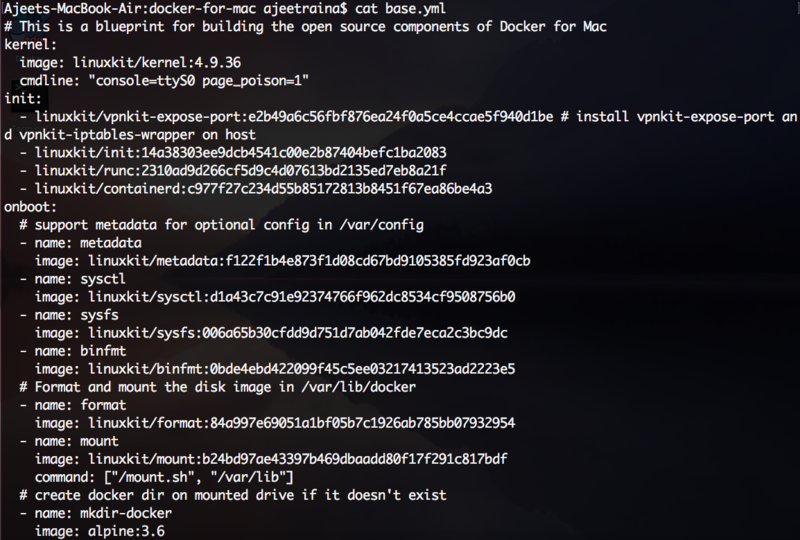 base.yml => which contains the open source components for Docker for Mac. 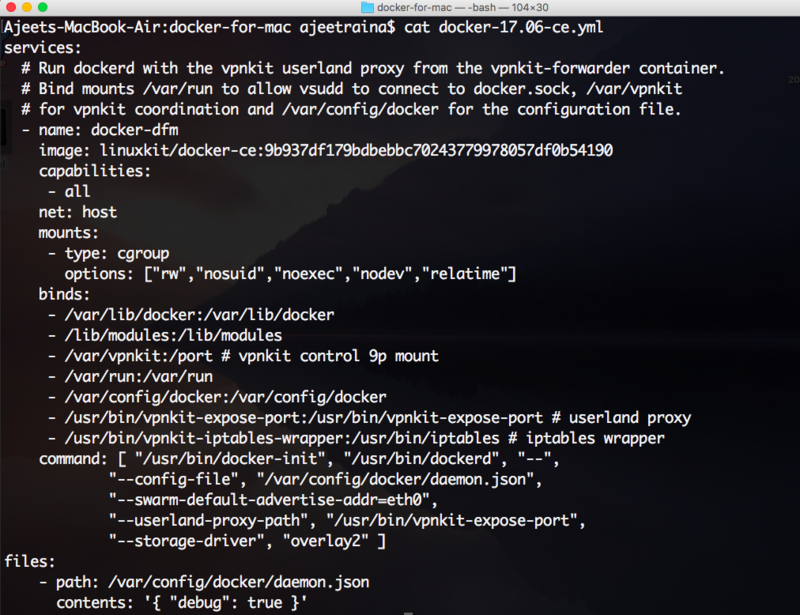 The blueprint has support for controlling dockerd from the host via vsudd and port forwarding with VPNKit. 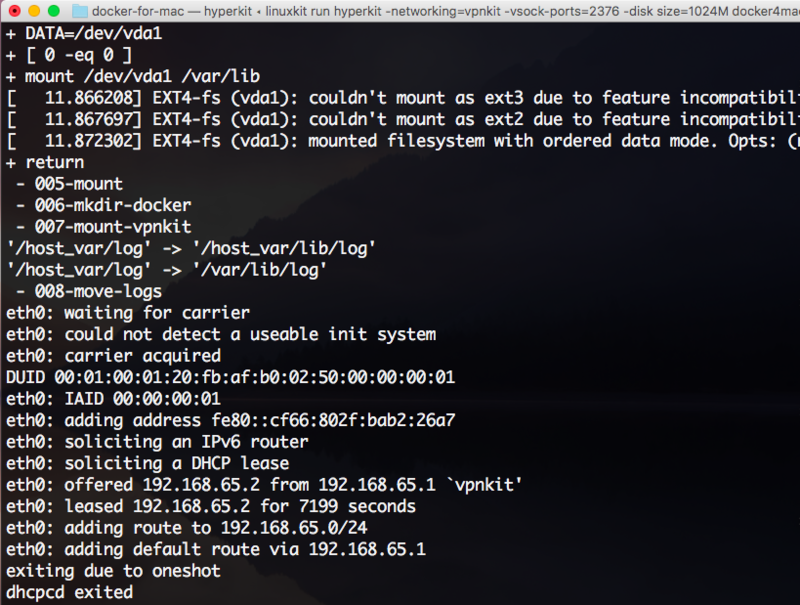 It requires HyperKit, VPNKit and a Docker client on the host to run. 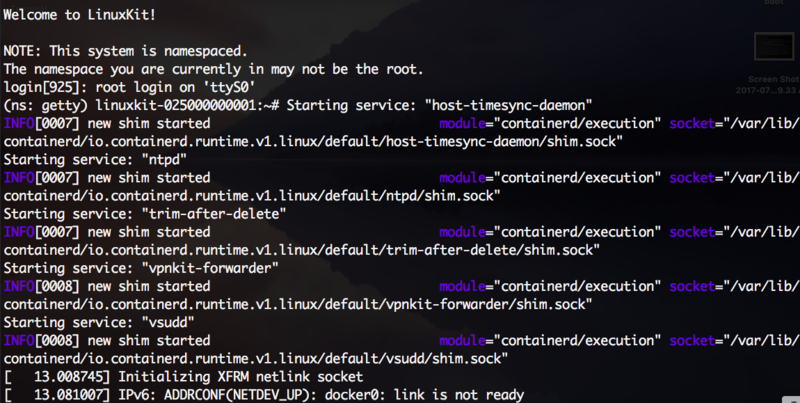 How to connect to docker-dfm` from another terminal? 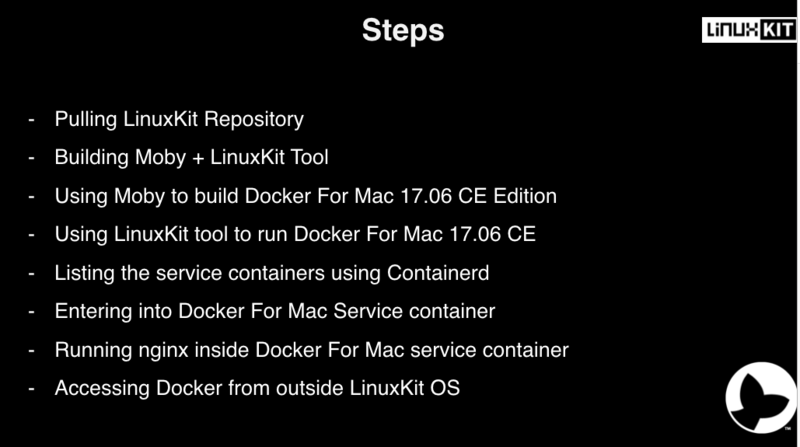 Know more what’s happening in LinuxKit project by visiting this link.